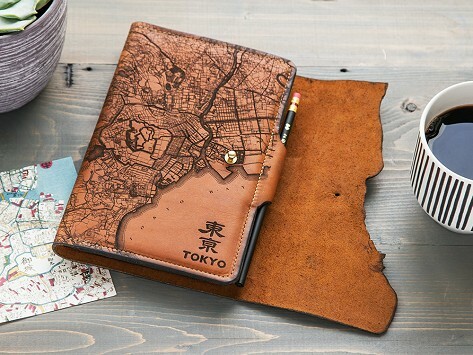 A modern take on an ancient craft, this Made in the USA etched leather notebook cover showcases your favorite international city. 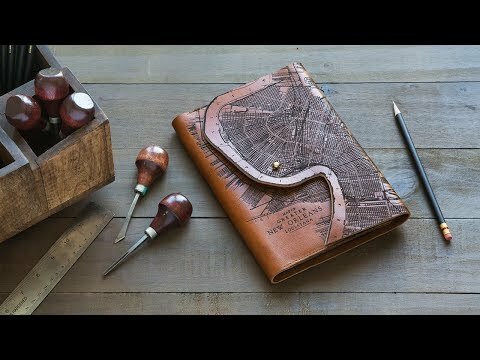 The supple leather hides are sourced from a local Milwaukee tannery, then hand cut and laser-engraved with antique, early 20th-century maps of cities around the world. The included Moleskine notebook is replaceable, so you can always carry your thoughts in something beautiful that’s Made for a Lifetime.